The middle-east country Qatar considering further enhancements to it’s visa policy, including waiver for visa/resident permit requirement for GCC and Schengen countries, as well as UK, USA, Canada, Australia and New Zealand. Qatar’s Ministry of Interior (MoI), Qatar Tourism Authority (QTA) and Qatar Airways announced on 09 August 2017 that Qatar will allow visa-free entry for citizens of 80 countries, effective immediately. 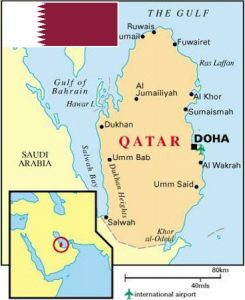 Citizens of those countries* wishing to visit Qatar will no longer need to apply or pay for a visa; instead, a multi-entry waiver will be issued free-of-charge at the port of entry, upon presentation of a valid passport with a minimum validity of six months and a confirmed onward or return ticket. Entry to Qatar is approved at the sole discretion of Qatar’s Ministry of Interior. Visa requirements for Bangladeshi citizens are administrative entry restrictions imposed on citizens of Bangladesh by the authorities of other states. Bangladesh do not allow for his citizens to visit Israel. According to the Visa Restrictions Index, holders of a Bangladeshi passport can visit 39 countries visa-free or with visa on arrival. List of countries which do not require visa for Bangladeshi citizens. List of countries provide on arrival visa for Bangladeshi citizens. Mauritania Available at Nouakchott–Oumtounsy International Airport. Gabon Electronic visa holders must arrive via Libreville International Airport. Myanmar 28 days. eVisa holders must arrive via Yangon, Nay Pyi Taw or Mandalay airports. Visa required for Bangladeshi citizens to visit following list of countries. Special permissions are shown in remarks column. Cuba Tourist Cards (Tarjeta de Turista) must be obtained prior to arrival in Cuba for a maximum stay of 30 days. Georgia eVisa available for holders of a valid Schengen visa or a valid visa from any of the OECD member countries; or a valid residence permit of a Schengen or OECD country. Lebanon In addition to a visa, an approval should be obtained from the Immigration department of the General Directorate for General Secutiy (La Surete Generale). Malawi From 1 October 2015 visitors should generally obtain a visa in advance. Rwanda Visa can be obtained online. São Tomé and Príncipe Visa can be obtained online. Serbia Visa free for a maximum stay of 90 days for valid visa holders or residents of the European Union member states and the United States. Somalia Visa on arrival for 30 days, provided an invitation letter issued by the sponsor has been submitted to the Airport Immigration Department at least 2 days before arrival. Peoples Republic of Bangladesh requires all foreigners to obtain permission to enter its own territory. All the Visas are issued by Bangladesh missions located throughout the world or on arrival to Bangladesh. Extensions are available at the Department of Immigrations and Passport of Bangladesh, and fees vary country by country. Most foreigners require a Bangladeshi visa to enter Bangladesh. Bangladesh missions provide a No Visa Required (NVR) seal for Bangladeshis holding foreign passport and nationality as well as to non-Bangladeshis who are descendants/relation of Bangladeshis. This seal allows the passenger to travel to Bangladesh on multiple occasions without restrictions on duration within the validity of the visa. The No Visa Required facility is valid until the validity of the passport and can be transferred to the new passport of the same person as required. Visa policy of Bangladesh according to the Eligibility Test for Landing Permit (LP) of the Bangladesh Police The Eligibility Test for Landing Permit (LP) provided by the Special Branch gives slightly different visa policy information.